This is the third article exploring how International Olympic Committee (IOC), as a controlling dominator energy, cast a dark shadow over Vancouver during the 2010 Vancouver Olympics. 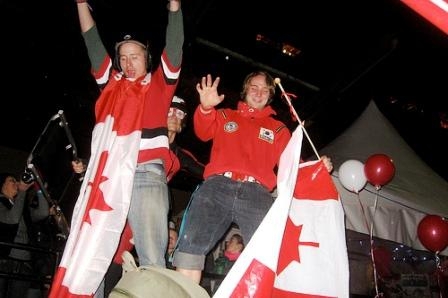 It shut local businesses out from profiting from the event and it attempted to re-define the vast, multidimensional complexity of Canadian people into insulting one-dimensional cartoon figures. Another aspect of IOC’s darkness was its attempt to manipulate and control the people and their Olympic stories. 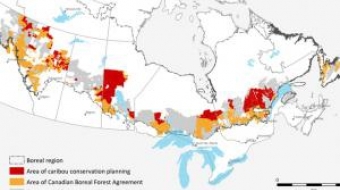 It failed to do so for many reasons that, in my opinion, come down to the fact that we are Canadians: relatively free sovereign beings who stand in our power and claim our space as rightfully ours. It is an example of what Mark Lakeman of City Repair in Portland, Oregon calls “placemaking” where people claim their space in their community as belonging to them. Sovereign beings are a problem for dominator energy. As sovereign Canadians, we are grounded deeply in our own time and space, fully occupying and claiming it. We do not need externally referenced authority figures to tell us what to think, who we are, or how to live. Sovereignty is the ultimate goal of placemaking. First Nations peoples have always been powerful models of placemaking and thus a serious problem for the dominator energy of governments. Here in Vancouver, most of us acknowledge that we are living in the unceded territory of the Coast Salish peoples. This acknowledgement has huge implications for freeing us all. Our ignorance in not understanding the significance of honouring First Nations peoples’ wishes to rename Stanley Park XwayXway is our loss. Social media exemplifies individual sovereignty and so it has always been problematic for the Olympic machine. In an interview with Maurice Cardinal, author of the book, Leveraging Olympic Momentum, he said that IOC's rules legally bind any official group involved with the Olympics to saying only positive things about the experience. This meant mainstream Olympic media sponsors could not criticize what occurred. As a result of social media’s participation, different stories got told. The Red Tent campaign, for instance, brought attention to the chronic homelessness in Vancouver that IOC tried to hide. Reilly Yeo, a volunteer with Red Tent, said that they deliberately chose to fight the Olympic symbolism with their own symbols. 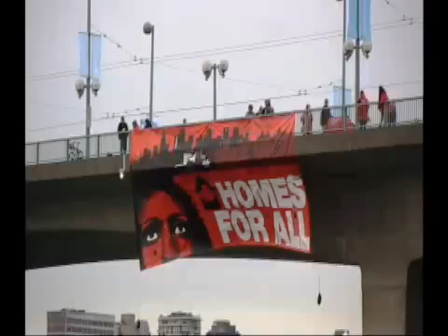 They dropped a beautiful 45’ banner off the Cambie Bridge with police permission. Social media documented it.